Having a family photo go viral is a long shot, but to Pennsylvania College of Art & Design's Continuing Education instructor Jeff Frandsen, it's all in a day's work. Jeff is a professional photographer and teaches social media photography classes at PCA&D, emphasizing what makes for engaging and memorable content, how to monitor your impact, and how often to share. 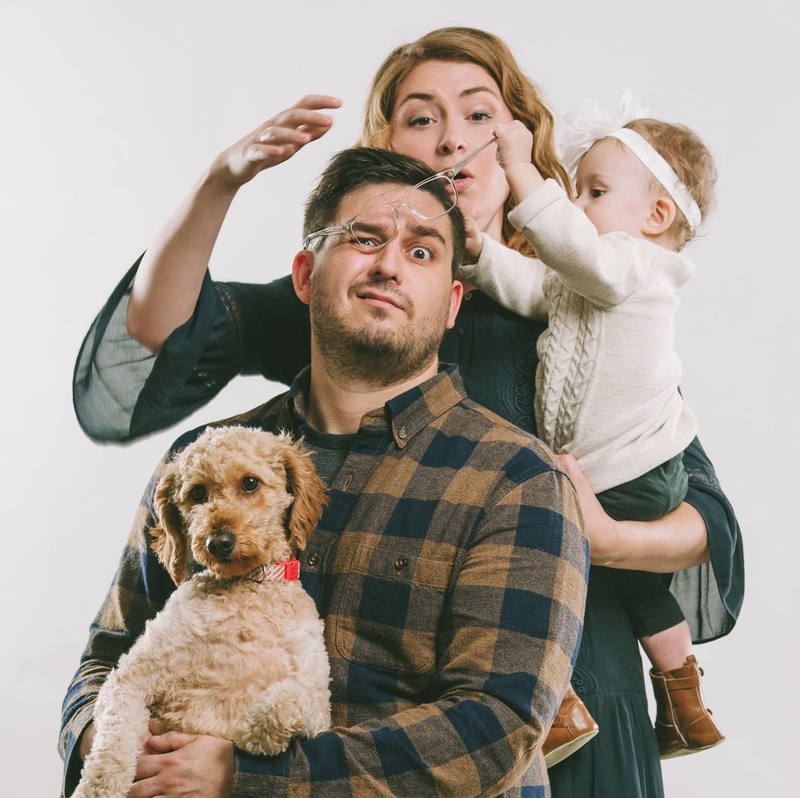 This fall, Jeff asked his colleague, Lancaster photographer Sam Interrante, to take a holiday photo of his family, including, his wife Liz, infant daughter Emerson and their goldendoodle Frankie. The moment Sam snapped the picture, his daughter grabbed Jeff's glasses resulting in capturing a one-of-a-kind moment that Jeff knew was the perfect shot for sharing on social media. The photo quickly went viral on Reddit and Facebook. Jeff will be teaching a Instagram & Snapchat for Business workshop at PCA&D on Wednesday, March 8, 9 a.m.- 12 noon. With 400 million users on Instagram and 100 million daily users on Snapchat, these are two hot social apps your business can no longer ignore. In this three hour workshop, learn the basics of Instagram and Snapchat, how to use the apps and how to harness each app's special features for your brand. This is ideal for marketing professionals and business owners who are Snapchat novices and want to gain a better understanding of what the platform features can do. Learn the demographics of each platform's users, what makes for engaging and memorable content, how to monitor your impact, and how often to share. Jeff won't be using the photo on his holiday card, however, opting to use a more traditional picture to introduce Emerson to family members and friends.